Don has an MBA from the Wharton School, University of Pennsylvania and a bachelor's degree in accounting. He founded Purtill Financial in 2000 and has been providing fee-only financial planning, investment advisory and tax planning services for individuals and families since then. Prior to that, he was an executive with a Fortune 200 company, a college professor and dean, and an accountant for Ernst & Young. Don is a Certified Public Accountant who holds the Personal Financial Specialist (PFS) designation from the American Institute of CPAs. About 5,000 CPAs have earned this designation nationally. He is also a Chartered Global Management Accountant (CGMA). He is a Registered Investment Adviser in Ohio and Florida and one of about 3,000 members of NAPFA, the National Association of Personal Financial Advisors, the national organization of fee-only financial planners. He holds the FINRA Series 65 Investment Advisor License. His memberships include the American Institute of CPAs, the Ohio Society of CPAs, the American Association of Individual Investors, and the Wharton Club of Northeast Ohio. Tom is a Registered Investment Adviser for Purtill Financial. He holds a bachelor’s degree in finance from Cleveland State University and has worked in the financial services industry since 2000. Tom manages the day to day investment and reporting process at Purtill Financial LLC and provides assistance to clients in preparing financial plans and implementing investment strategies. Tom holds the FINRA Series 65 Investment Adviser License and has completed graduate work through Boston University and the College for Financial Planning. Tom has been with Purtill Financial since 2006. Michael, a CERTIFIED FINANCIAL PLANNER™ professional and Registered Investment Advisor, has a bachelor’s degree from Boston University and has worked in the financial services industry since 2002. Mike prepares client investment recommendations and financial plans. He holds the FINRA Series 65 Investment Adviser License and is registered in the State of Ohio as an Investment Adviser Representative. Mike completed graduate course work at the College for Financial Planning. Mike joined the firm in 2008. Mike works to develop diversified investment portfolio recommendations and provide guidance to clients in financial plans. Carly holds bachelor's and master's degrees in accounting from the Weatherhead School of Management, Case Western Reserve University. Carly is a CPA, working in the financial services industry since 2004. She worked in both public and corporate accounting before joining Purtill Financial in 2014. 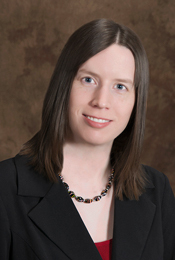 Carly prepares client financial plans, taxes, and investment recommendations. Carly holds the FINRA Series 65 Investment Adviser License and is registered in the State of Ohio as an Investment Adviser Representative. She is also a Chartered Global Management Accountant (CGMA). In 2016, Carly obtained the Personal Financial Specialist (PFS) designation from the American Institute of CPAs, recognizing her experience and knowledge as a financial planner and investment adviser. We at Purtill Financial LLC know that finding the right investment advisor to work with is a choice not to be taken lightly. That’s why we offer a no charge initial consultation to learn your needs, the scope of your goals, and determine if we might be a good fit to work together. Purtill Financial LLC is registered with the United States Securities and Exchange Commission. Purtill Financial LLC provides fee-only personal financial planning and wealth management to individuals, families and small businesses. The information on this website is limited to the dissemination of general information pertaining to the services of Purtill Financial LLC, and is provided for convenience purposes only. Purtill Financial LLC makes no warranty of any kind with regards to use of this website. Purtill Financial LLC will not be held responsible or liable for any loss or damage resulting from its use. This website should not be construed as a solicitation, offer, or recommendation to engage in any type of transaction. Links to third party websites are for general information only. All content contained therein is the sole responsibility of their respective owners. © 2017, Purtill Financial LLC.